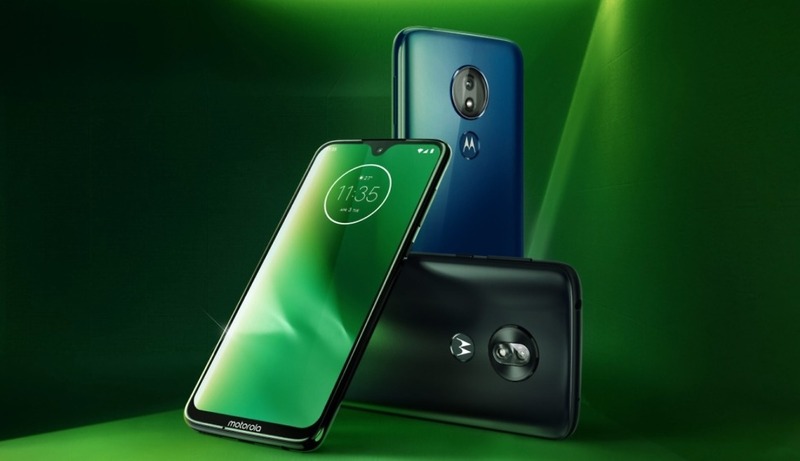 It features the same glass-backed body as the Moto G7 and the device comes in Blue and Red colours. All do run the Snapdragon 632, have fingerprint readers, and that clean version of Android we've come to expect from Motorola. Also, the secondary rear camera is absent, relying on software to handle depth. The Moto G7 Power's noticeable feature is the 5,000mAh battery onboard. The new line-up also comes with features like full-day battery life, improved camera performance and more. The standard bearer for which all other models deviate, the phone offers up a 6.2-inch display (2,270 x 1,080 pixels) with a thin frame and waterdrop cutout display. It is followed by the G7 Power and its 3GB of RAM, while the Moto G7 and G7 Plus both come with 4GB of RAM. In terms of cameras, the rear has a 13-megapixel shooter while the front sees an 8-megapixel selfie snapper. Exact launch details and pricing for T-Mo and Metro aren't yet available, but Motorola said today that the Moto G7 Power will begin rolling out in the US this spring with a starting MSRP of $249. Unfortunately, the G7 Plus won't be coming to the USA, but the other models will arrive in the spring. We'll need to test the Moto G7 Play in full to give our verdict on the camera but while it isn't likely to deliver the results of the Moto G7 Plus, this device is quite a bit cheaper so expectations would be lower. For $249 you can get the G7 Power, which has the same screen and battery, but drops the dual cameras. It has a 3,000mAh battery. The storage option is still a 32GB expandable storage only. 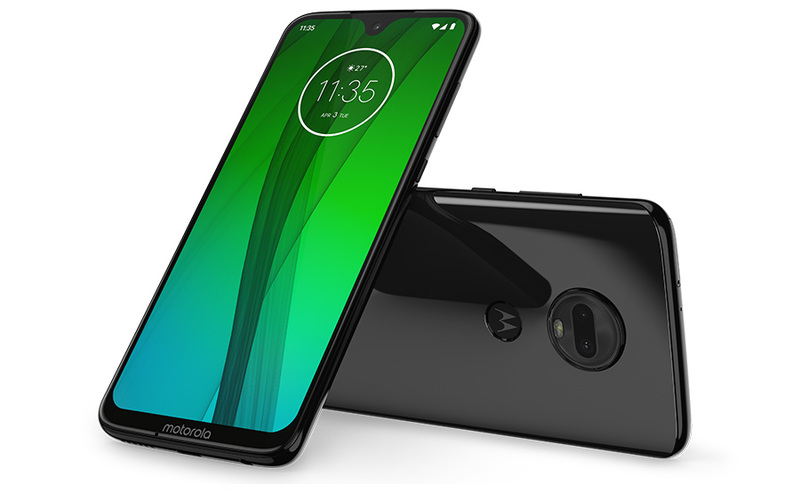 Lenovo majors on battery life with the appropriately named Moto G7 Power (£179). The Play, which will retail at only $199, has a 5.7-inch LCD screen, while the other three models have 6.2-inch LCDs. Other Moto Experiences like Quick Capture, Fast Flashlight and Attentive Display are also still included. If Moto's budget phone lineup was a real family, the G7 would be the favourite child. The G7, G7 Power and the G7 Play are expected to reach the European shelves in the next couple of weeks, while the U.S will get them later this spring. These phones were the Samsung Galaxy M10 and Galaxy M20, and they come with an affordable price tag thus making them the ideal contender against Moto's G7 line-up. Then there's the standard G7. The device is available in Clear white and Ceramic Black variants. The front camera on the device has a resolution of 12MP while the rear camera is a dual camera setup with a 16MP primary sensor and a 5MP secondary sensor. It will also reach several prepaid carriers including Google Fi, Republic Wireless, and Ting. The Moto G7 Play and G7 Power pack in 32GB of storage, while the Moto G7 and G7 Plus offer 64GB of storage. We've not spent enough time with the Moto G7 Play to really gauge its performance. All Moto G7 models will be available in Europe starting mid-February. This device is also powered with the same Snapdragon 632 as the g7. The device gets a dual rear camera setup, consisting of a 12-megapixel f/1.8 sensor and a 5-megapixel f/2.2 sensor. This device comes in Ruby and Indigo - hot stuff! This camera also supports Optical Image Stabilization. However, the Moto G7 should be able to withstand use in the rain, and maybe even an accidental spill, or two. It won't be sold in the United States but will hit Europe and other regions soon.